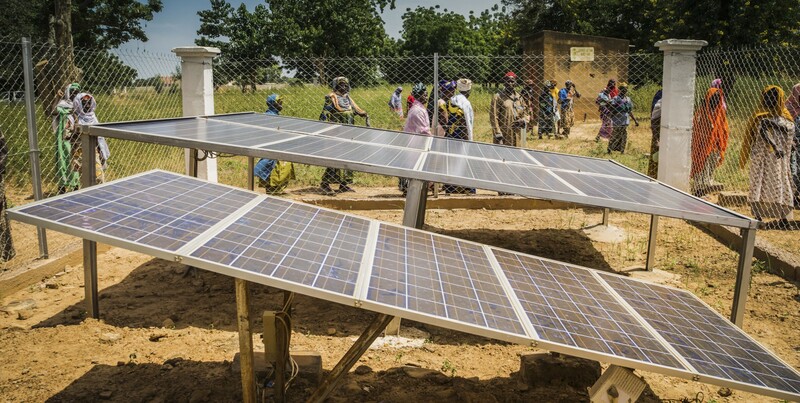 Solar panels are a major part of Mali’s strategy to increase energy access. These women are two of the 30,000 people who are making use of the new solar panels that have been established in 300 villages across Mali. 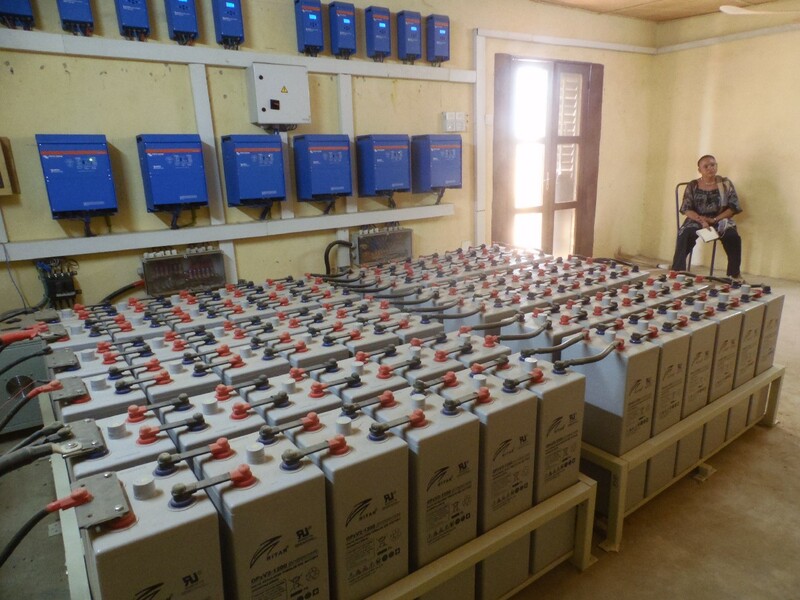 In the regions of Tombouctou, Kidal, Mopti, Kayes, Sikasso, Koulikoro, Gao and Ségou, solar panels are now generating electricity for water heaters, dryers, cookers, fridges and freezers, water pumps and communal lighting systems. They are also powering essential services, such as community health centres that no longer have to improvise, for example, with the light from cell phones to assist women during childbirth. 390 facilitators, 233 technicians and 108 representatives of local governments have been trained on renewable energy technologies to manage the facilities. In Mali, solar technology has made energy more accessible and increased the share of renewables in the country’s energy mix. These are a few outcomes from the PENRAF project (Promotion of renewable energy for the empowerment of women), initiated by the Malian Ministry for Energy and Water in 2003 and running in its current modality through 2018, with funding from the Government of Mali and UNDP. The new solar energy technology has not only made energy more accessible and increased the share of renewables in the country’s energy mix. It has also reduced the pressure on cover crops intended to protect against soil erosion, increased agricultural productivity, and strengthened livelihoods and economic growth with a special focus on women — mirroring the 2030 Agenda and its social, economic and environmental aspects. Nana Sangaré is closely involved in this development — a mother of seven children, deputy mayor and chair of the Women’s association in Sirakorola, a town 120 kilometres northeast of Mali’s capital Bamako. “I have not bought charcoal or kerosene for my household since the solar panels were installed. We now water our plants with the solar pump and our market gardens have become much more profitable. Before this project, we didn’t have any income at all. Now I earn 3000 CFA Francs per day (approximately US$5), which allows me to provide for my children’s needs,” she says. Sangaré’s story echoes across the 300 villages. Women have not only increased their incomes through higher productivity as a result of better access to clean electricity. Women’s associations are also often in charge of the solar facilities. The project is based on a gender-sensitive renewable energy strategy and aims at integrating women in the management of renewable energy technologies — and thereby in communal decision-making at large. In Sirakorola for example, it is Sangaré’s association that oversees the solar panels and the charging of solar batteries. Energy access means students can work on computers and have adequate lighting to study in the evenings. Traoré Djeneba N’Daou, Deputy Mayor of Sio, a small town along the Niger river, stresses further benefits enjoyed by her village. 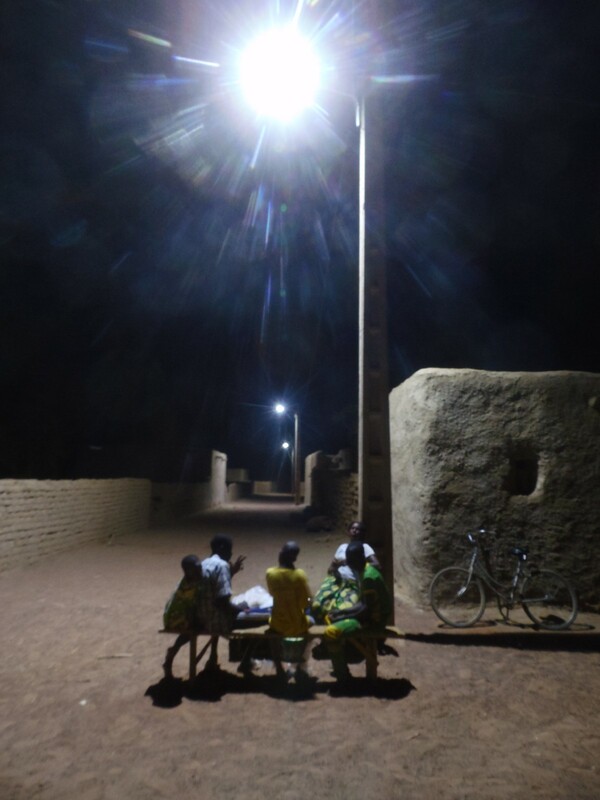 “Electricity and the new lighting systems mean that citizens don’t have to worry about being attacked at night anymore — and that our children have lamps to read under”, she explains. On a global level, electrification has increased steadily since 1990, reaching 87 percent in 2016, but 1 billion people still live without access to affordable and reliable energy services (SDG target 7.1). And the renewable energy share (target 7.2) is expected to see only a modest increase from today’s level of 17.5 percent to 21 percent by 2030. Strong political commitment, sustained public financing, and partnerships with the private sector to promote new technologies, including off-grid solutions, are needed to reach the 2030 goalpost. The recent publication Accelerating SDG 7 Achievement stresses high connection and operational costs, unreliable or unavailable grid electricity, low population density (especially in rural areas), high leakage rates and lack of investments, as important obstacles to expanded access in least developed countries. Solar panels generate electricity for household needs and communal lighting systems. In Mali, only 35 percent of the population had access to electricity in 2016, while a mere 1 percent had access to clean cooking, according to the Energy Progress Report 2018. About 80 percent of the country’s household energy needs are covered by use of biomass which implies adverse environmental effects. And the Malian My World 2030 survey, conducted in May 2018, showed that access to clean and affordable energy is one of the top six priorities for the population. On 16 July this year, Mali presented its first Voluntary National Review of its SDG progress. Increased electrification and promotion of renewable energy were highlighted as accelerators for sustainable development with positive effects on living conditions, health and well-being, food security, economic growth, infrastructure, and security and safety of the population. The Government has also expressed that reforming the energy sector and bridging its financing gap is necessary, as lack of access continues to affect the functioning of services and economic activities, resulting in significant productivity losses. A Social Emergency Programme for Energy Access 2017–2020 and a National Energy Policy are both geared towards achieving SDG 7, and focus on capacity building, network expansion and promotion of renewable energy sources. Specific interventions aimed at ‘Leaving No One Behind’ including in relation to basic services such as energy access, are crucial and have also been adopted as part of the President’s Social Emergency Programme, to reduce inequalities within the country. In Soufouroulaye, students recognize the efforts to bring accessible energy for all, and the effects on their learning. “We can concentrate better with good lighting and now we can also work with computers, it makes school much more fun”, a student says. “And we can also organize activities in the evening with our classmates, under the lights of the village”. On 16 July, Mali presented its first Voluntary National Review on the country’s progress of the SDGs at the High-level Political Forum (HLPF) in New York, an annual UN-led meeting that brings together ministers, business leaders and civil society. Between 9 and 18 July 2018, 47 countries told the world how they are implementing the Goals — including their best practices and current challenges to move the SDGs from paper to practice. The SDG Deep Dive series aims to illustrate how the 2030 Agenda and its Sustainable Development Goals (SDGs) impacts development and showcase early results from the first years of this transformative plan for humanity. Through snapshots of the work from around the world, the stories show how countries and communities are moving the SDGs from paper to practice, with UNDP’s support. Want to know more or let us know about your SDG contribution? Follow us on Twitter @UNDP_SDGs or connect via 2030agenda@undp.org.